Fit Shape is owned and run by husband and wife team Nige and Becky McDermott. They have four children, 2 cats, 6 fish (last count), 2 personal training studios and live in north London. Becky has over 10 years experience in the health and fitness industry. She takes a friendly non intimidating approach to her work and specialises in working with women who want to lose some weight, get fit and tone up. Becky juggles home life, the children, the office, training clients and working out herself, she has a strong interest in nutrition, healthy eating and being sugar free. Nige is 55 and has been in personal training for 25 years. He has BSc in sports science is qualified in nutrition, sports coaching, NLP, life coaching, hypnotherapy, strength and conditioning and other areas. He has a special interest in using motivational psychology, fitness and nutrition to help his clients get fit, improve their shape, mental health and human performance in life, work and sport. Nige takes an assertive results based approach to his work with clients and teams and always aims to facilitate progress every week. 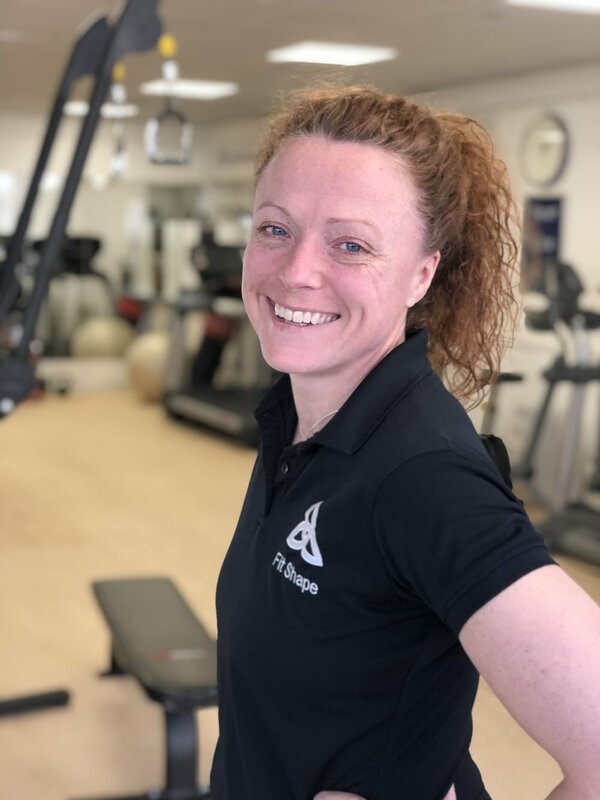 Sharon comes from a pilates background where she specialised in helping clients improve posture and strengthen their core by taking a body mind approach. Sharon has also done further education in personal training and nutrition. She has a very friendly caring approach to her work and places importance on her clients overall well being as well as their health and fitness goals. Pictured here after receiving thankyou flowers from a happy client. Allison has 10 years experience in personal training and was originally one of Fit Shapes first clients many years ago. Having experienced the benefits of being a client she decided to do the best courses available and is now a highly qualified experienced trainer and coach. Allison is also a local mum with three children and understands the challenges of balancing work, family and taking time out for you.